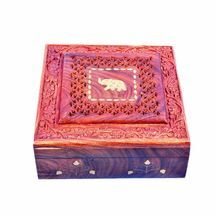 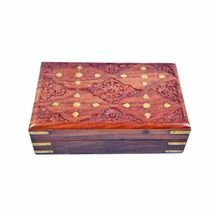 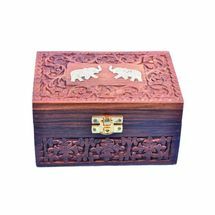 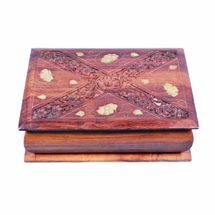 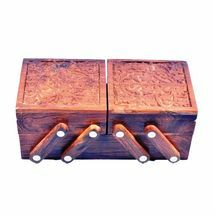 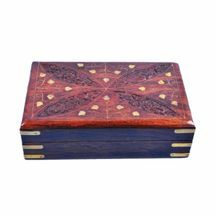 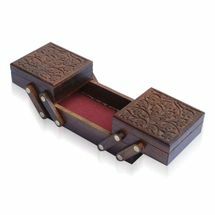 Beautiful 3 in 1 sliding wooden jewellery box will keep your jewellery safe n secure from damage. 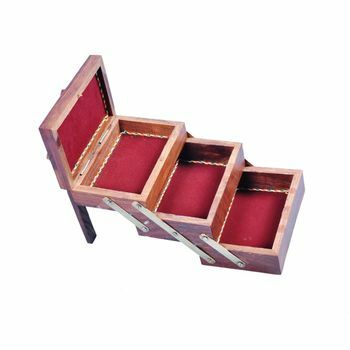 Its 3 in 1 sliding design makes it space saving yet giving you enough space to keep your pieces safely. 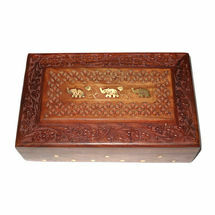 Its beautiful hand carved and brass inlay work makes it yet more attractive.